On Monday we began our third session of camp, and thus it came time to teach the popular words of our camp song once more. All the hanichim (campers) sat on the floor of the hadar ochel and practiced the words of the chorus from “B’Ramah Galim rochvim al susim” (at Ramah Galim we ride horses) to “osem galim…” (we make waves).Then suddenly one head popped up out of the crowd. 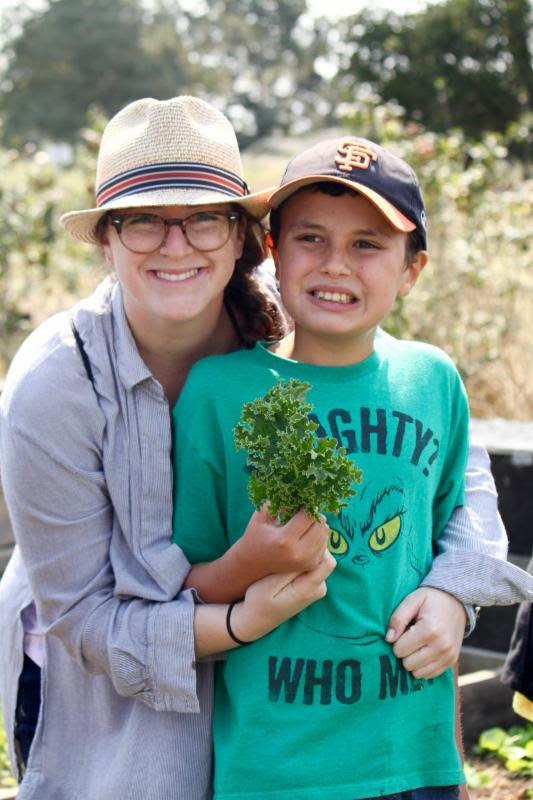 One of our amazing Tikvah campers had stood up to sing. “Come on guys, we can do better than that!” she exclaimed to her peers. Inspired by her challenge, all 100 people in the room stood up also and followed her lead. We sang and sang while this camper smiled from the front of the group. 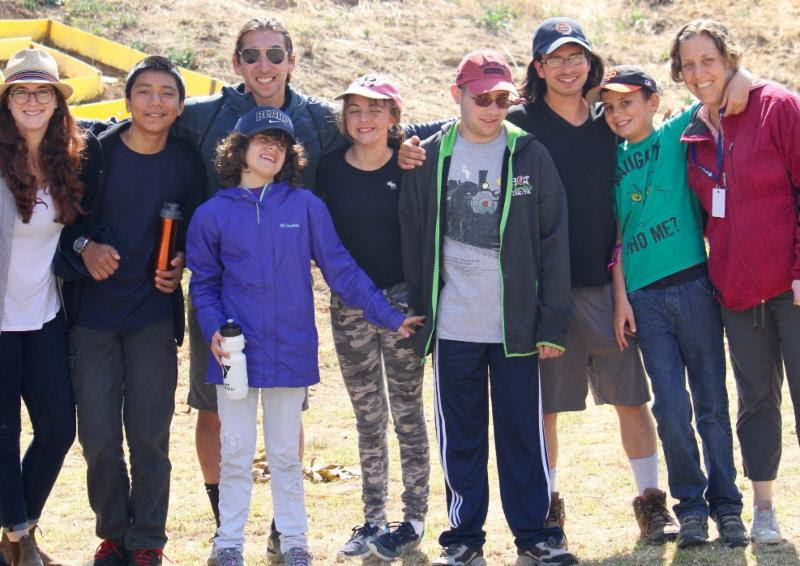 We are proud to join our colleagues at other Ramah camps in sharing the gift of Jewish camp with children with special needs. 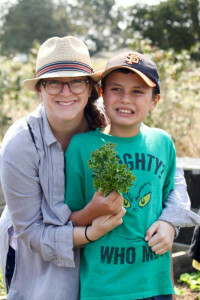 Our camp’s goal is to offer a growing Tikvah program in the coming years that can support all children who want to come to our unique camp community alongside Monterey Bay. 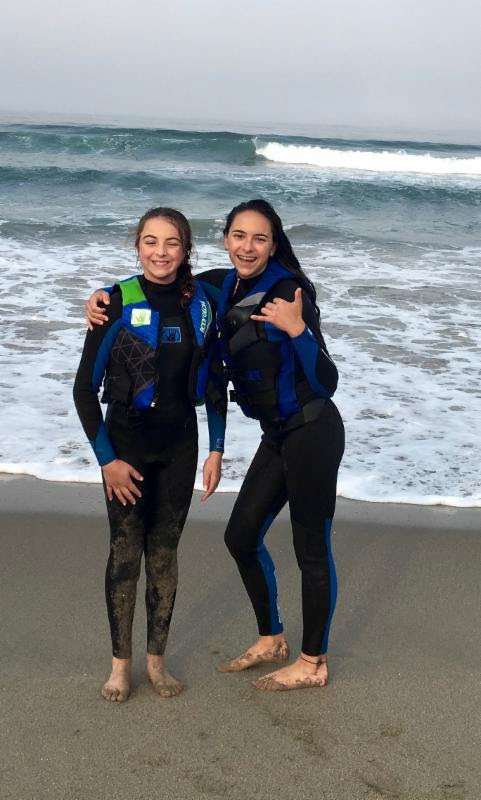 After all, where else in the world can kids of all abilities and backgrounds get up in the morning together and do Shacharit on surfboards? “What did you see this morning at Tefillot Afloat?” I asked one of our Tikvah campers over breakfast this morning after she returned excitedly from the beach. “I saw dolphins and an otter and friends!” she responded. Yes you did. May we all see dolphins and friends at Ramah Galim for many, many years to come.